The Internet of Things has brought about a fundamental and disruptive change in how we perceive, innovate, develop, and use products. With the almost limitless opportunities, it has also brought challenges. Companies that have operated in traditional hardware manufacturing, or have even expended this with the development of embedded software have to learn new ways to keep pace with non-traditional players entering the rapidly shifting IoT-enabled market landscape. 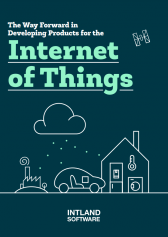 Managing the creation of products for the Internet of Things presents a new challenge that companies developing cutting-edge technology solutions are just beginning to realize. As the processes of hardware engineering & manufacturing, software development and service innovation are increasingly connecting and overlapping, managing these segments of the overarching lifecycle as isolated processes is beginning to hinder further development, and to inhibit synergies. Therefore, an integrated approach to the management of the overarching product lifecycle is becoming necessary. In addition to representing a shift in paradigm, this integrated lifecycle management (“xLM”) presents various technical and practical challenges. Download this guide to better understand these challenges, and to find out more about the solution proposed by Intland Software.